First, you need to install this plugin ( Download now ) inside your wordpress site. Don’t forget to activate it. In your WordPress admin go in “Settings->Permalink” and make sure “Post Name” is selected. Now go in Mobidonia’s studio and continue the work on your app. For news source select “WordPress” and enter the link to your wordpress site. This section will fetch your latest post by default. 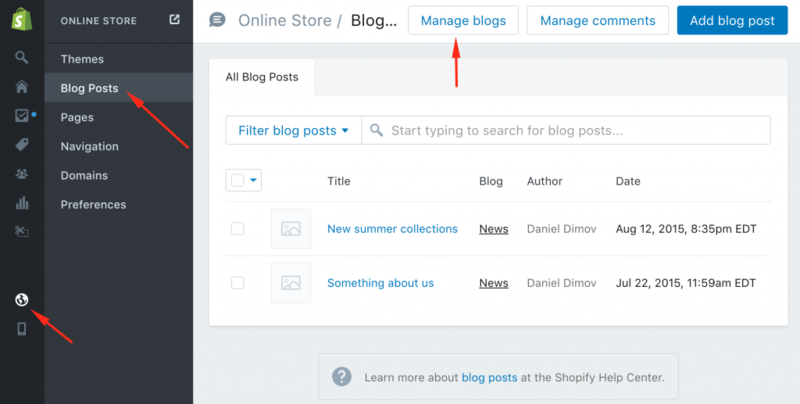 To find the desired category id, go in your wordpress blog, click on “Posts->categories” and you will see your list of categories. Click on the desired category, and you will see his id in the address bar of your browser. You can have unlimited number of sections that are displaying news from your blog – site. You can also add folder section and inside them place multiple sections that fetch news from specific category. Ok, lets configure your Shopify blog. All you need is to enter your blog ID and blog name. 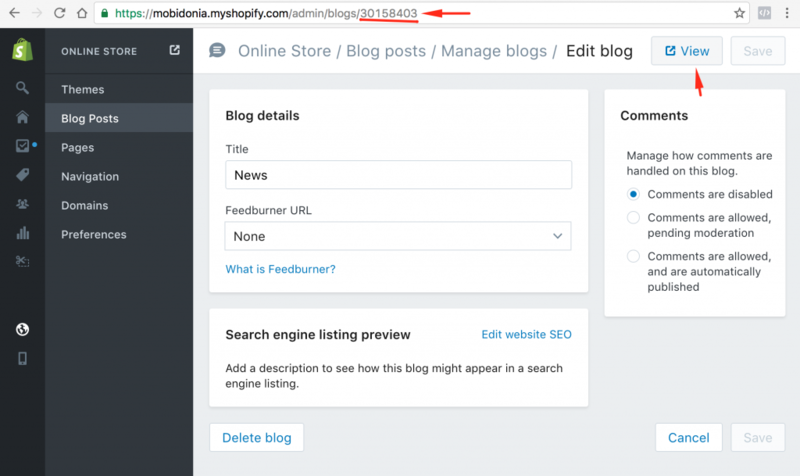 To find your blog id, go in you Shopify admin panel. Step 3. Copy the blog id from the address bar (And enter in Mobidonia). Then click on the “View” button.